Pour kiwi-strawberry vodka over ice in a cocktail shaker. Shake for 1-2 minutes. 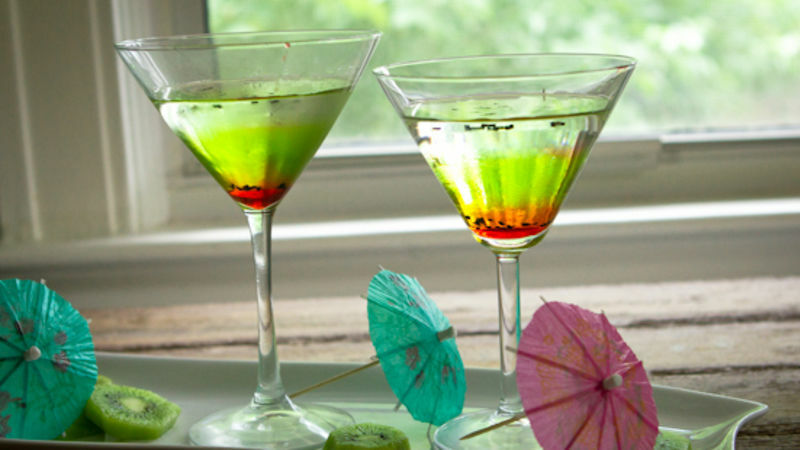 Pour into two large martini glasses. 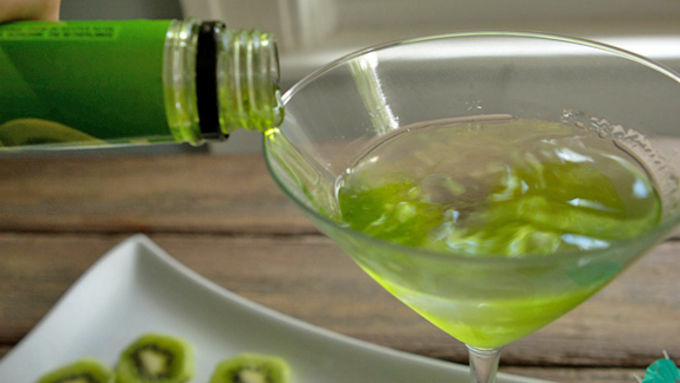 Carefully drizzle the melon schnapps down the edge of each martini glass. The schnapps has a higher sugar content that the watered down vodka, so will naturally ease into the bottom of the glass if poured slowly and carefully. Pour grenadine down the side of each martini glass. 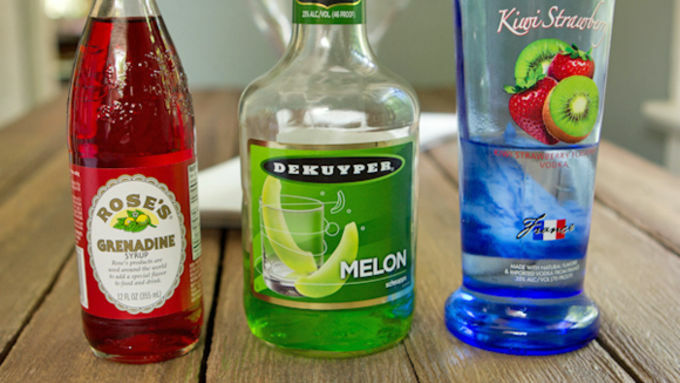 The grenadine has an even higher sugar content, and will slide below the schnapps. Serve with speared kiwi and watermelon, if desired. Three liquers, baby. That's how we do thangs 'round these parts. 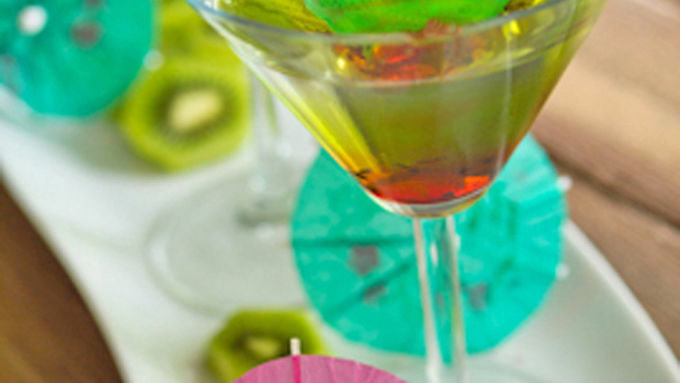 Layered cocktails are all the rage, so we're going to show you how to mix it up layered style with a Kiwi-Strawberry Melon Martini. Ahhhhh, layered happiness.